Today I wore Layla Flash Black from the Hologram Effect Collection recently released. Prepare yourself this one is a doozy! 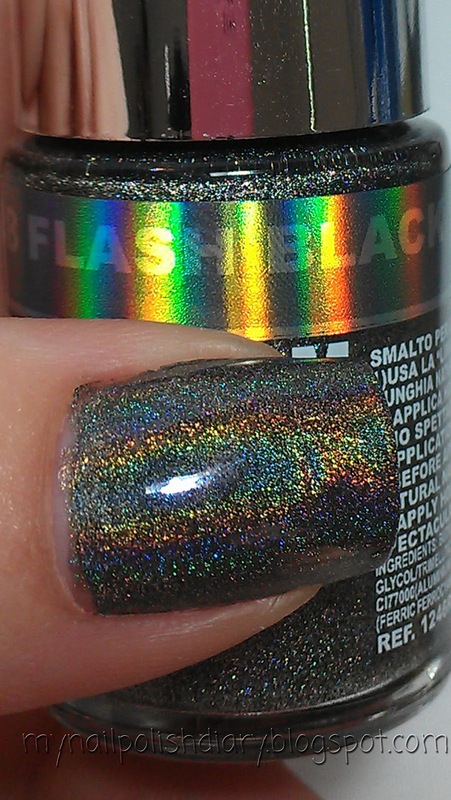 Layla Flash Black was released this spring in their Hologram Effect Collection. This is a beast to apply if you don't use the right base coat. I used Nufo Oh Aqua Base. There are others available. I cannot give an opinion on them because I don't own nor have I used them. But Nofoh Oh worked perfect and I did two coats of Flash Black. 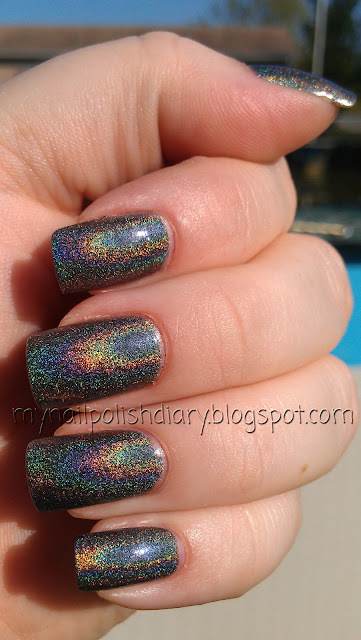 I used SV quick dry top coat with this as well and noticed almost no change in the holographic effect. 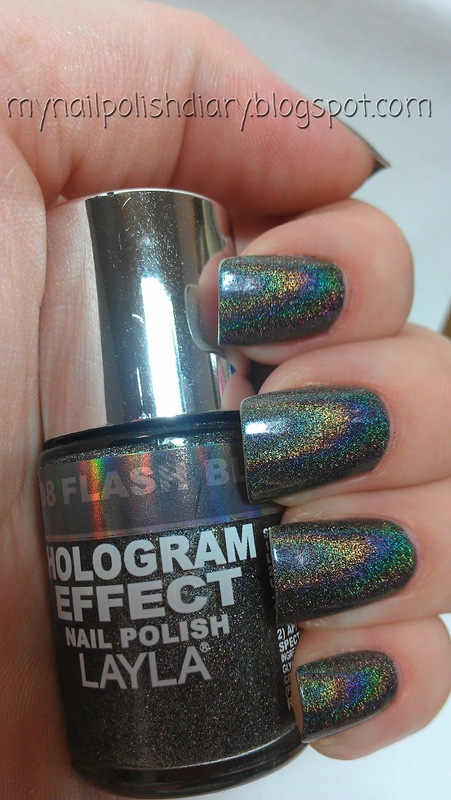 The holographic effect in this polish is intense! Inside it's mind boggling...outside, well just suffice it to say it's like nothing you've ever seen before. 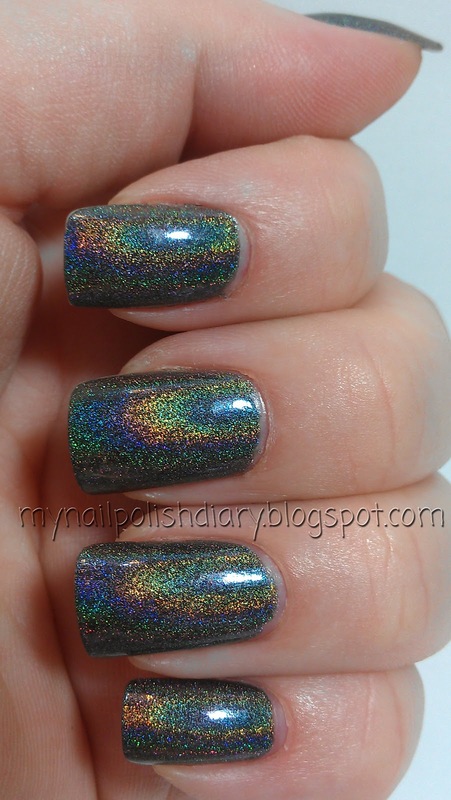 Lemming OPI My Private Jet? Do yourself a favor and get this and kill that lemming. I think this is even better than MPJ. It's just stunning.